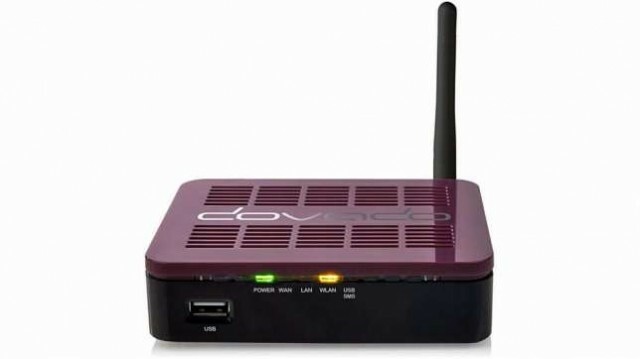 The Dovado Tiny AC 4G-optimized USB router allows you to insert your 4G/LTE or 3G mobile broadband USB modem and share out your Internet connection with ease via Ethernet and Wireless LAN, providing access to all your computers and wireless-enabled devices throughout your home or office. The router provides a round-the-clock connection, as one would experience with fixed broadband. Tiny AC is ideal for providing a 3G/4G connection to remote monitoring stations, ubiquitous M2M (vending machines, ATMs, information displays, advertising boards, etc), and of course homes & offices requiring WiFi access from their USB modem. Those of us using a roof-mounted antenna might have noticed the best place for the cable is not always where you'd like to use your computer - Dovado Tiny AC allows you to leave your modem where most convenient and access the Internet anywhere in the house. The Dovado TINY AC router includes a very unique implementation - the Mobile Internet Auto-Configuration Solution (MIAS). Upon inserting the USB modem into the router, this solution will get you online in no time after identifying which country and operator your SIM card subscribes to. Experience the highest connection uptime with the SmartUSB port; re-powering the USB modem at first sign of trouble! Dovado routers have some of the best throughputs ever seen - the nature of scheduling, stripping/adding headers, fragmenting packets, etc. often causes routers to add a noticeable reduction in speed. Unlike others, Dovado are renown for their almost lossless processing time, resulting in unbeatable throughput and minimal latency.